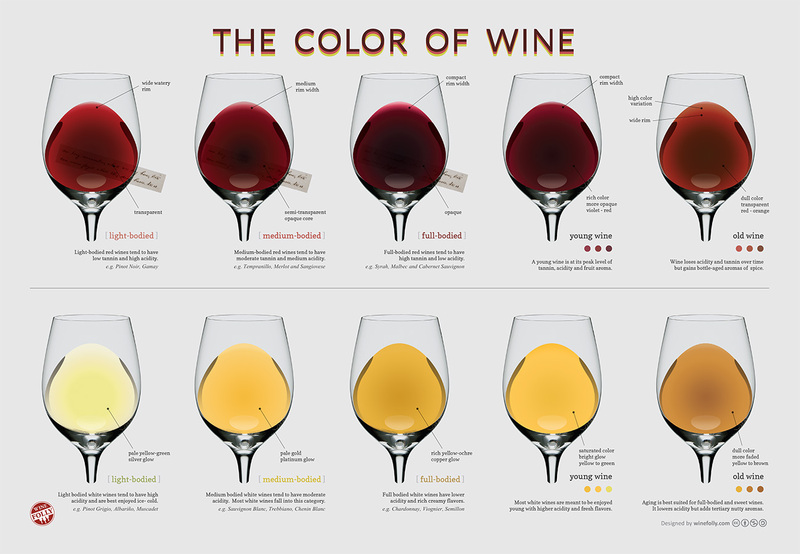 Wine Color Chart : Friday Infogrphic | CookDrinkFeast! I was stuck for words when describing the color of the Rhuberry cider in this week’s wine review. Fortunately Wine Folly put together this informative color chart. Not only does it name the colors of wine, it tells you what the colors mean for flavor—For example, wines with junk in the trunk (full-bodied) are opaque. Think of the color as a pre-view (pre-taste?) of wine.